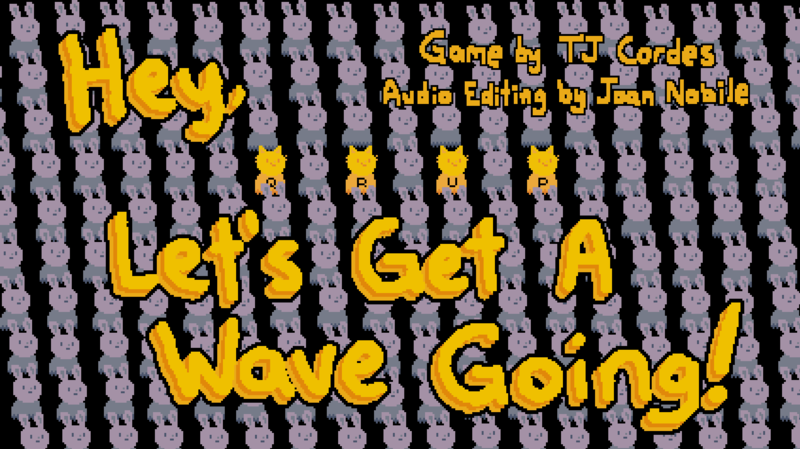 This is a game I made for Global Game Jam 2016 (not 2017, even though the theme for that one was waves). You and up to 3 of your friends have to get a wave going, winning over a hostile crowd that very much does not want to get a wave going. Press the corresponding keys on each cat's body to make them hop up in the air, and chain the four of them in a smooth enough wave that everybody else is compelled to join in. This game can be played with fewer than 4 players, if each player controls multiple cats. 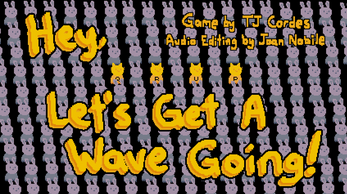 This game also supports gamepad controls; press A on your controller to do your part of the wave. Press Esc to reset - this may be necessary if your rhythm gets too messed up or if you complete the game.